This weekend I completed my first 20-mile training run and I'm feeling a bit more confident about the marathon in October. Long runs are supposed to be mentally and physically challenging, but right now my body is fighting me more than usual! Marathons are awesome because I love to push myself and I love to race. Training runs are great quiet time; especially when I forget my iPod, it's just God, the road, and me. But, despite my love for full marathons, I want to take a temporary break from the full 26.2. Running is a lifetime sport and I don't want to completely burn out after running for only four years! If God blesses me with the health, I would love to be that crazy old lady still running at 80 years old. How do you avoid burning out? Whether it's exercise, faith, work, parenting, marriage, etc. It's possible to burn out on anything! 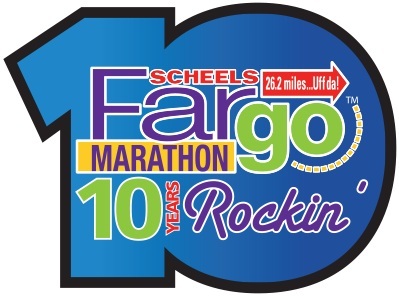 I'm going to get a little crazy and try something new - I signed up for my first half marathon, the Fargo Half Marathon, coming up spring 2014! 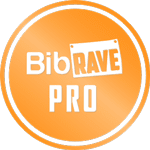 I've ran quite a few 13+ training runs but never an official race. Who doesn't love to run 13 miles! Just kidding, don't answer that question... hehe. Running shorter races will be an opportunity to 1.) Enjoy sleeping in with Leo & Eli a bit more on the weekend, 2.) Focus more on speed, and 3.) Run my first half! M - 6.5 mile run. H - 30-Day Shred Level 2, adventuring with Eli and the stroller, carrot-harvesting in the garden. 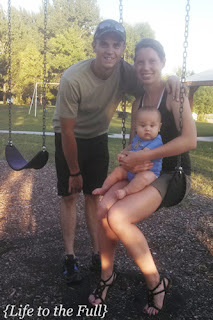 F - 7.25 mile run WITHOUT the jogging stroller! Leo had the day off of work due to wet fields. S - 20 mile long run in 2:58 at 8:56/mile average pace. I started out at 7:30 a.m. and the morning heated up FAST! Ran out of water in my camelbak, ran on mostly country gravel roads, had to make a gravel road "pit stop" due to GI issues... but, all in all, the run was successful. Getting through that first 20-miler is always a mental barrier and I feel a bit more confident about my first post-baby marathon coming up! Dealing with burnout depends on what I'm burnt out. Sometimes it's time away. Sometimes it's working on something similar. Sometimes it's participating in the activity or item with other people. Sometimes it's journaling about it to find sanity or peace. It's important for me to understand why the burnout is occurring so I can make the best decision on how to recover from it. It can be very humbling to look at a preferred activity and say, "this isn't working for me right now." One of my hardest moments was taking a break from volunteering at Life with Cancer. I loved those clients, but there came a point where my life changed and I needed a break. Fortunately the volunteer coordinator understood. Walking away instead of straggling on, not being at my fullest, etc. was the best decision for all of us. Thanks for sharing your experience, Wendy! It does help to understand why the burnout is happening and then go from there. Very good point.